The necessity for having a base level of fitness or general physical preparedness should be common sense for any armed citizen. Possessing the ability to run away from danger is often a better plan than engaging and then, if you survive, dealing with the legal and emotional aftermath. Not to mention the simple fact that a healthy body will get you farther in life than a 1.5-second double tap from concealment. For some, fitness has been part of their daily or weekly routine since childhood, college or later. For others, just the idea of getting fit causes them to cringe and can seem almost unattainable. 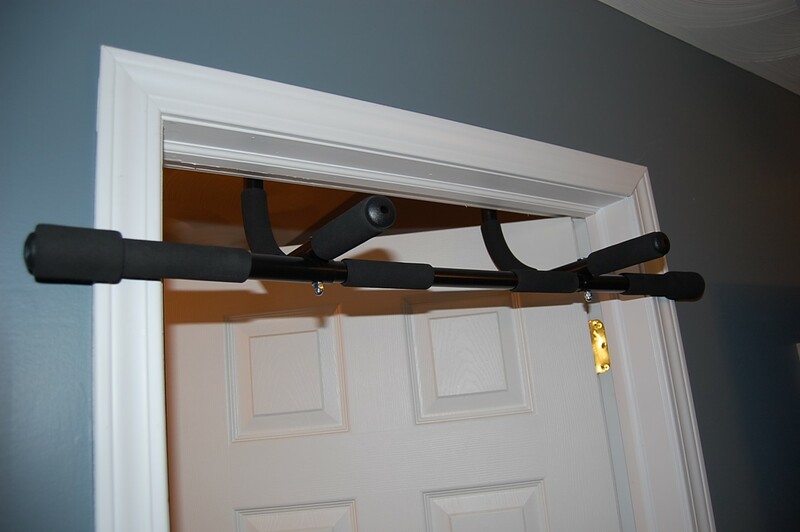 With the right fitness plan, a $29 door frame pull-up bar can go a long way to improving your physical preparedness. Several months ago, I sustained a debilitating back injury that laid me up for a week, out of work and off my feet. I slowly got better but discovered the injury (a severe muscle pull) was worse than I had originally thought. Whereas before the injury, I had engaged in an exercise routine several days a week, I now couldn’t do a single push-up and would be racked with sciatica, causing my legs to give out involuntarily if I stressed my back or core even slightly. So, at the behest of my doctor and chiropractor, I abstained from all exercise, laid off on combatives training, skipped the weekly defensive pistol league, and did the couch potato routine. After one whole month off, I tried doing some slow calisthenics, such as push-ups, pull-ups and bodyweight squats. It was slow going, and I felt very weak. Mentally this was difficult, since I was accustomed to being very active. A slight depression set in and I knew if I didn’t do something, all of the hard work I had previously put into my physical preparedness base would be gone. My close friend, boxing and Brazilian Jiu Jitsu instructor Cecil Burch, has an excellent analogy for training. He calls it his “junk mail” theory. Every day we get one or more pieces of junk mail. If we saved this mail, it would quickly pile up into a huge heap. He recommends applying this example to daily training. Every day do a little bit of something that needs work and, over the course of a week, month or year, a significant amount of training time will have been logged and improvement seen. Cecil recommends applying this theory to boxing and BJJ, but I realized I could apply this same methodology to getting back into shape. It could also be a great way for someone not used to exercise to start building a functional fitness base and then transitioning into a more serious physical preparedness routine. I took Cecil’s idea and determined when during the day I had free or wasted time. Even though I was out of action, life was still very busy with work, family, sports, and homework. While getting ready for work in the morning, I have about 45 minutes when I am ironing work clothes, preparing lunch, showering and getting my boy ready for the bus. I could use a few minutes of that time to start getting back into shape. The plan started on a Monday morning. After waking up and getting caffeinated, I did a set of ten slow push-ups, then started ironing clothes. A few minutes later, I did another set, and then another a few minutes after that, just before my shower. In the car on my way to work, I added them up and realized I had done 100 push-ups in about half an hour. This was certainly nothing to write home about for most “fit” people, but not bad for someone who had been laid up for almost a month with serious back pain. I felt mentally energized about getting back into physical action. 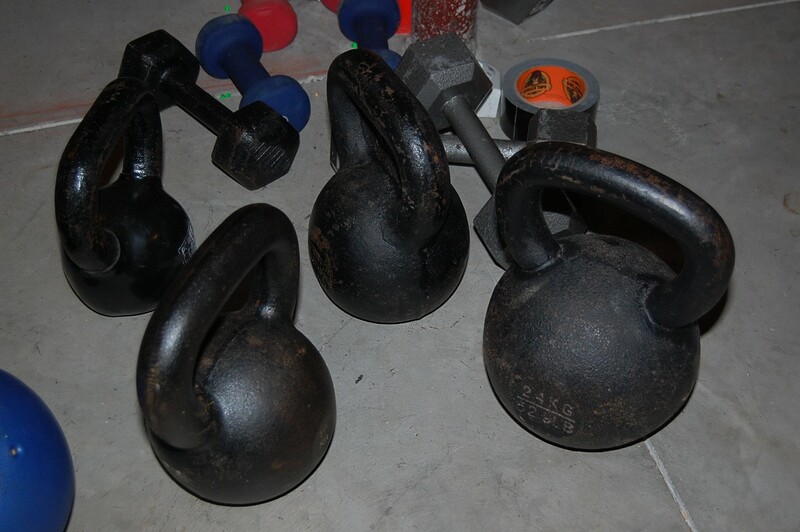 Kettlebells and dumbbells are portable, economical and functional pieces of fitness equipment. As this is written, it has been six weeks since that first Monday morning, and my back is almost 100% healed. Currently, my morning routine consists of seven sets of 20 push-ups from varied hand positions, seven sets of seven pull-ups, seven sets of 10 sit-ups and seven sets of 15 x 35 lb. kettlebell swings or high pulls, all within 25 minutes in an attempt to keep my heart rate up. These exercises are not done as a “workout.” Each set of each exercise is done when I have a moment between the other duties associated with my morning routine. Looking at volume added up over an average of five days a week (work days), it amounts to 700 push-ups, 245 pull-ups, 350 sit-ups and 525 kettlebell swings or high pulls. This is a significant amount of physical work and a great start toward getting into shape or back into shape considering a mere two-hour investment of time. If you’re just beginning or returning to fitness, start small and build your way up. Pick one exercise and do multiple sets of low reps. For example, try to do 10 sets of five push-ups. If that’s too much, then do five sets of three push-ups. 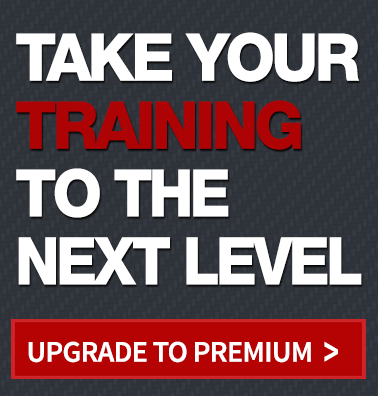 Do the same with pull-ups and the other exercises you choose to utilize in the plan. Start low and add one or two reps each week. For example: Week one you may do five sets of five push-ups, then in week two try to add a rep so you’re doing five sets of six push-ups, and so on. Attempt to do the exercises at least four days a week. This plan doesn’t just apply to physical fitness. 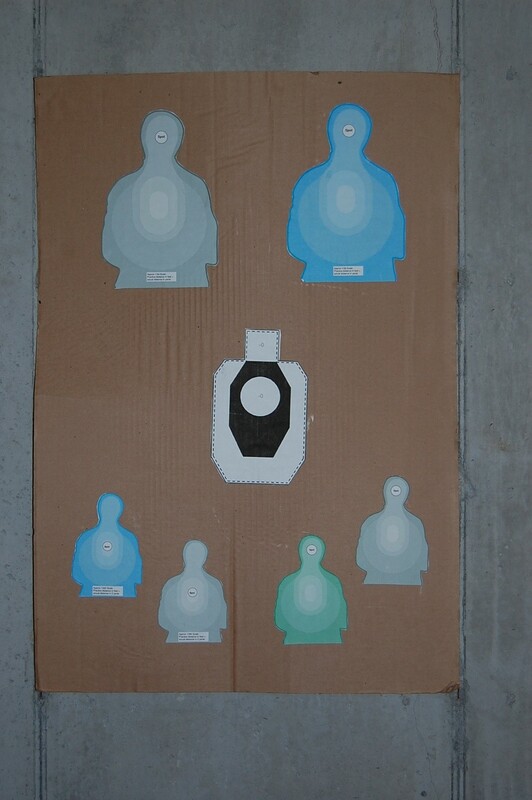 A little work every day on handgun presentation from the holster can pay big dividends over time. Before you know it, you will have built up those numbers, and that particular exercise won’t seem quite as challenging as it did when you started. At that point, add another exercise, such as pull-ups or bodyweight squats. Don’t be discouraged about starting low like this: we all need to build ourselves back up after a lay-off or when just starting out. Think about where you will be after a month of steady work on this plan, and use that to encourage yourself to do more! It doesn’t matter if you were in good shape at one time and have fallen out of fitness, or have never worked out but decided to start. Follow this simple, progressive fitness plan and within a short amount of time, you will feel stronger, look better and be better prepared for whatever Murphy might throw at you. Check out John Brown’s excellent article on Functional Fitness to learn more and better understand some of the exercises you can use to attain a strong physical preparedness base. I am in the same situation with a debilitating back injury, but my situation goes further than the “severe muscle strain.” My spine is pretty much blown out and I do have the sciatica issues as well. I’ll be walking and all of a sudden my leg just goes out and I have this searing pain down and through my leg which makes it at this time impossible to run for exercise. I was rear ended on the freeway back in 2006, my car was totaled and I was on my back for two years until I could even walk half way decent again. I’m now nearing 57 years of age and would love to be in better shape than I am at this point. I am walking alot now and doing what I can as far as sit ups and weights, I’ll take the info in your article to heart as well. Thanks for the inspiration. I turned 50 last summer. I used to run a lot; it was nothing to just pop out for a 7 mile run. Now all of that has caught up to me and my knees can’t handle it anymore especially now that I’m about 30 pounds heavier. I like this plan and will implement it in my life. I believe, from earlier “in shape” days that it’s all about consistency. If you’re going to workout 3 or 4 days a week, then do it and stick to it. You don’t have to work yourself to utter exhaustion, just a decent workout and stay consistent. Anyway, now it’s time for me to practice what I preach. Ha ha!! Thanks for this article.